I declared at the onset that Special Prosecutor Robert Mueller was an anti-Trump, and a fraudulent “investigator”. I have no special insight into Mueller. But I got a big clue the man is a swamp snake, and it came from James Comey. After Comey was fired, he was asked about Mueller’s capabilities. Comey didn’t endorse Mueller, he canonized the man. But so did FAR too many swamp creatures. Ironically, Mueller was the perfect man for the job. He would be cocky enough to believe he could pull this off. After endorsements like that, who would question him? Luckily for America, there are insiders who stand guard at the gate. And one such insider is True Pundit, who has a knack for getting information about the FBI before the fake news media can synthesize, lie, and spin. True Pundit said this of Mueller’s appointment at the time. Call it the Four Tweets of the Mueller Apocalypse which foretold laws would be broken in order to take down President Donald Trump. While everyone from mainstream media pundits to green journalists on Twitter were trumpeting the appointment of Special Counsel Robert Mueller on May 17, only a handful of well-placed sources went against the media’s Mueller love fest. Mueller was appointed to investigate the alleged collusion of President Trump’s White House with Russia during the 2016 election. 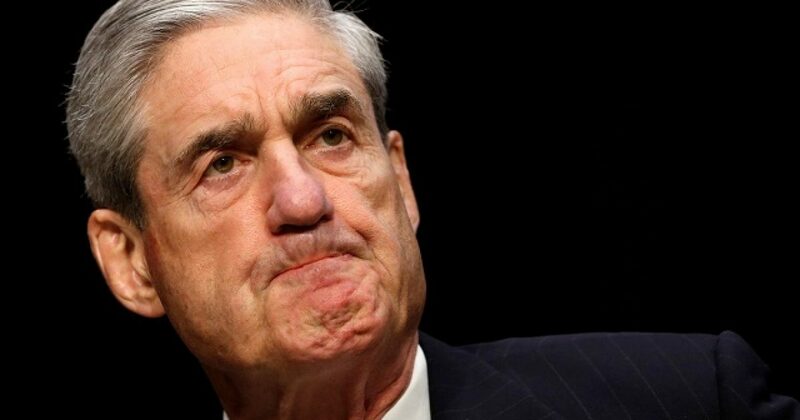 Within an hour of the Mueller appointment, True Pundit’s Thomas Paine, who had worked with the FBI and was familiar with Mueller as the Bureau boss, warned the news site’s followers that this was the first sign of a disaster. In four consecutive Tweets, Paine — among the harshest media critics of former FBI boss James Comey — foretold the current Mueller and Comey debacle two months ago, raining on everyone’s celebration, based on the group-think that Mueller would exonerate President Trump. Paine clearly knew the opposite was true. The final Tweet — which said Mueller would break laws in order to take down Trump — was deleted by Twitter, which is common on Paine’s social media feed, as his followers clearly know but we have recovered it and included it below. He is no White Knight. “Paine” goes on to say that Mueller is a dangerous guy. I suggest to you that hiring ONLY Hillary Clinton-supporting attorneys indicated how Mueller would conduct the investigation. Also, “Paine” explained the relationship with Rod Rosenstein. The 4th tweet was deleted by Twitter, but alluded to more Mueller corruption. As I have predicted all along, President Trump knows what’s been happening. The man who wrote The Art of the Deal is smart enough not to go into a deal (or meeting) without all the facts. President Trump carefully “leaks” in the form of hints, but you must know “Trump-speak” to understand it. In the video, it’s not what President Trump says, it’s what he doesn’t say. We all know that the FBI treated Hillary Clinton very differently than they did General Flynn. But what does the president now know, that he didn’t when he was candidate-Trump? Let’s just say America may soon see fireworks that mirror a nuclear explosion. I wrote a while back that there was a reason President Trump put up no opposition to Mueller. Nor did he complain about Mueller’s selection of predominantly Hillary Clinton-supporting attorneys. DC shakes in its baby-seal lined leather boots at what awaits. The scandal within the FBI will prove to be the biggest scandal in American political history. It will likely take down former President Obama and much of his staff. Further, the Clintons will be at the epicenter, as will their minions who have dominated politics for over 3 decades.